The Paradine Case is a classic Film Noir / Femme Fatale movie, staring Gregory Peck and Ann Todd. As it goes with movies of that vintage, either you have a soft spot for it, or you don’t. I greatly enjoyed it, in no small part because of the lack of “flying camera” as is so common in almost all movies these days. John Oliver a few weeks ago had snippets of this on his show when he talked about the Coal Industry. The documentary deals with the impact of changing environmental policies and the desire of large companies trying to retain their business. At the same time it is a “human impact story” by showing the flip side of what happens when a mine closes. It’s interesting, but I did find it a bit too much on the melodrama, though that may be as much up to the topic as it is in the editing and writing. Blood Drive falls into the “Grindhouse” and “Exploitation” kind of movies. As I can appreciate these kinds of movies, mostly because they don’t pretend to be anything they are not, I am a bit less enthusiastic about a TV show based on that premise. Having said that, after three episodes the show has actually grown on me, it’s weird and they seem to find their groove. I am not sure you can stretch this into a second season, though I could see this work as an Anthology series like “American Horror Story”. Then again, this is SyFy, so odds are it won’t survive. Think “Jason Bourne” series and you’re getting close. It’s not dumb, it’s not smart, but it is entertaining and I found myself surprisingly enjoying it quite a lot. Tom Holt in his writing style is similar to Douglas Adams, only he’s more on the fantasy / supernatural side of things. 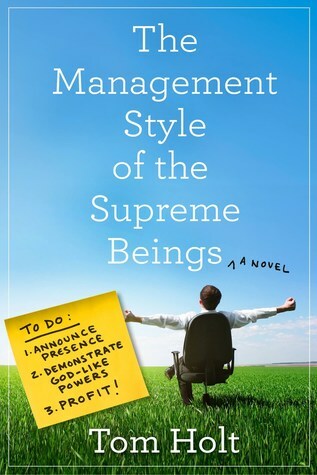 Now, a change in management tends to be always chaotic and confusing to many, but when the Supreme Being and his son decide that being supreme isn't for them any more, it's inevitable that things get a bit of a shake-up on a global scale. The “Undying Mercenaries” series is another one of those “read quick and enjoy” type of “shows”. It’s not high literature, but it’s entertaining and it has an interesting hook. The Hook: Imagine you could not die, or rather, the moment you die you get reborn in an alien machine. You may lose a few seconds of your “previous” life, but otherwise you’d be spit out as a fully formed human, with all your memories intact, only now 20 years old. Now imagine using this to staff an army? Yep, that’s the hook of the show. It allows Larson to have scenarios that often would be devastating to continuous story telling but are often used to comedic effect in the books. 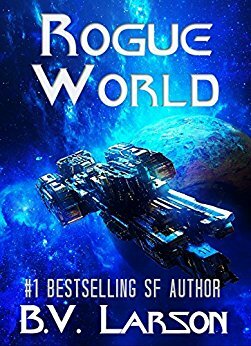 In Rogue World, Earth has inherited a planet after the events in the previous book. The only problem is the people living on there are scientists and they are hellbent on inventing new technologies for themselves and “their masters”. Slight problem is that the rulers of the Universe don’t really like upstart planets to do this kind of stuff. 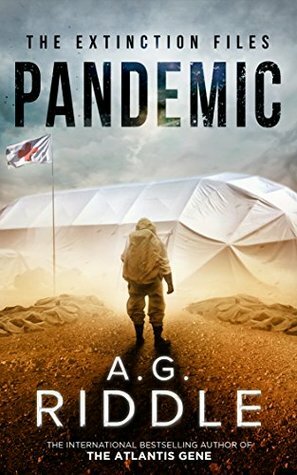 So Legion Varus is tasked with removing the aliens from the planet and destroy all the research, but instead James McGill, our protagonist, does what he does best and it all ends quite differently than from what everybody expected. I admit, I am looking forward to book 8, with this one Larson vastly expanded the canvas he’s drawing on. I discovered the Charlie Parker series back in 2005 or so with “The Black Angel”. It is a mixture of supernatural and crime thriller, though the last few books have gotten more into the supernatural realm. 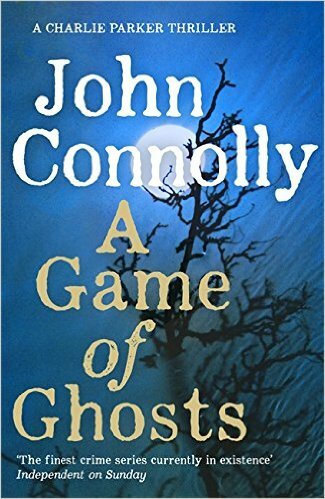 In “A Game of Ghosts” Parker is hired by an FBI agent to find another missing private detective, in between he gets drawn into a crumbling criminal empire and The Collector appears to make his last appearance. Overall a good continuation of the series. If you like the supernatural mixed in with crime, then this is def. a good series to read. When we think cannibalism we mostly think of horror movies, or maybe, the Anden survivors. But as Schutt’s book points out, cannibalism isn’t really all that rare in the animal Kingdom and it quite often “makes sense”. Does that mean we all should switch to a “long pig” diet? 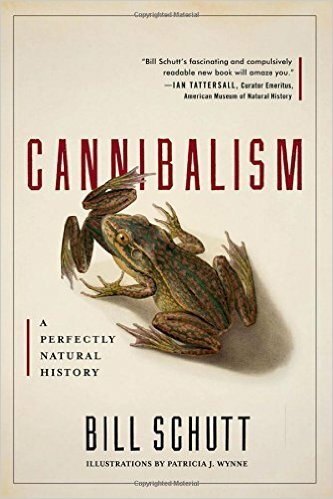 No, but if you always wondered why Cannibalism does exist, this book is a pretty good primer. I came across this book via a Joe Rogan podcast, where his guest Kelly Brogan referenced the book repeatedly, which made me curious..
To say the book has received mixed reviews is an understatement. It is the kind of book that will appeal to a certain conspiracy type of individual. 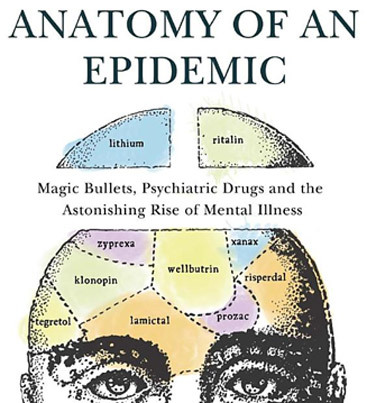 The book essentially argues that increases in mental health are caused directly by doctors and the Pharma industry and all you need to do is relax more, do Yoga, eat the stuff people like Brogan tell you to and of course do some sports and you will never ever suffer from depression or anxiety again. In order to make his case he picks individual “suffer stories” and tries to present them as “the truth about meds” kind of story. The only thing missing is that they don’t seem to include a tin-foil hat with the printed edition. I don’t blindly believe that every drug that’s out there is going to cure our illnesses and especially in the US there is a lot of medicine on the market that really has no reason to exist outside of making the drug companies more money. But having said that, the book is actually dangerous, it outright tells people that if you trust a doctor to prescribe you a psych med they actually just put you on drugs to pat their ow pockets. This messaging really does fit in well with the crap that Brogan is peddling and where there is a multi-billion dollar industry in the US alone that offers “alternatives” to “conventional medicine”. So, would I recommend that book? Only in the context that if you want to know where people like Brogan get their ideas from. If you hope to get a better understanding of mental illness and the rise of it, forget it. You won’t find that here. What I did not realize, and probably most people don’t, is that although forensic science has been with us for about 150 years a lot of that is really really new. 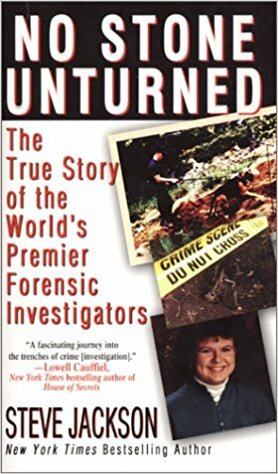 I “No Stone Unturned” Steve Jackson does take us back to the beginning of “modern” forensics, or more precisely, the way we now try to find human remains and how we process them. A lot of this was “luck” or a “hunch” that turned out to be later validated. I think the most surprising aspect in this book for me was that most of this was “private endeavour”. If you want crime shows or read crime books you always have the Police Department, local pathologist or some Federal Crime Agency provide the knowledge, but it seems in the real world that is often not the case. Rather it is entities like NecroSearch International that provide the knowledge and expertise.